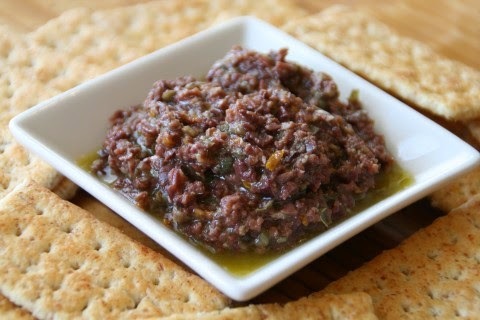 One of our favourite dishes is olive tapenade. I think it's probably even good for you, especially if pair it with red wine. Actually a lot of things are good if you pair them with red wine.